A NEW opinion poll conducted by the Liberty in Dublin 8 shows Sinn Fein leading in local and European votes, as voters move away from the three biggest Dáil parties ahead of the May 23rd elections. 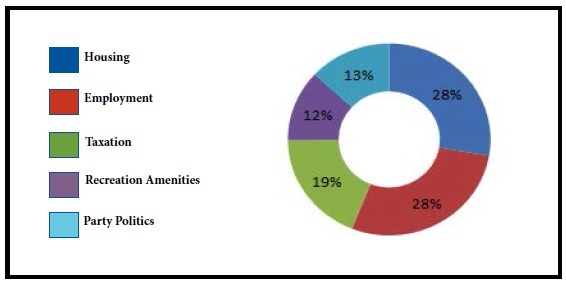 The Liberty conducted an opinion poll in the Dublin 8 part of the South West Inner City/Crumlin-Kimmage electoral area with results also showing a significant level of dissatisfaction with Dublin City Council. The area has traditionally been a Sinn Féin stronghold and 25% of the 350 likely voters sampled indicated that a Sinn Feín candidate will receive their first preference vote in the locals. The relatively unknown European parliament candidate Lynn Boylan is also capitalising on the party’s growing popularity and leads our poll, with 24.5% of respondents declaring her their first preference for MEP. Independent candidates in the constituency also look set to capitalise on the wave of anti-government sentiment that is damaging Labour and Fine Gael’s performance in nationwide polls. 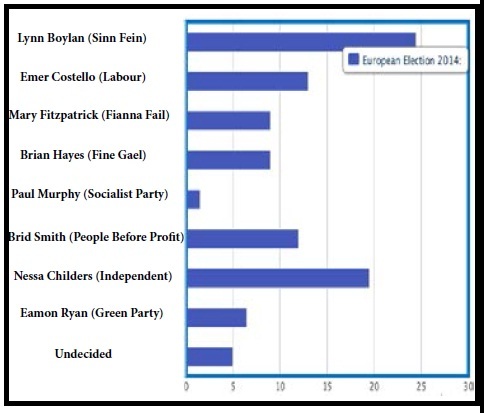 MEP Nessa Childers trailed closely on Boylan’s heels with a fifth of respondents intending on giving her their first preference vote on May 23. Emer Costello and People Before Profit’s, Bríd Smith look set to be the main contenders, in this area, for the final seat, with 13 percent and 12 percent respectively. Fianna Fáil’s Mary Fitzpatrick and Brian Hayes of Fine Gael both sit on 9 percent. 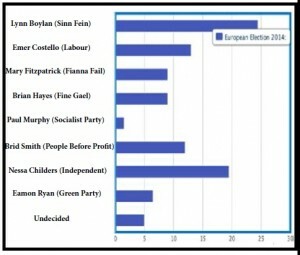 Brid Smith – who is based in the southwest of the city – polled well in the MEP poll with 12 percent, far ahead of the other main left-wing candidate, Paul Murphy of the Socialist Party. 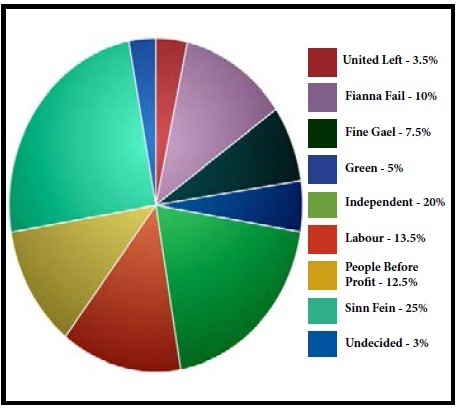 People Before Profit recorded a healthy performance in the local election poll, with candidate Tina McVeigh outstripping both Fianna Fáil and Fine Gael. McVeigh said that she has noticed a desire to “punish the bigger parties” on the campaign trail. Many of those sampled indicated that they would rather not vote for a candidate who was representing any party. Independent candidate John O’Donovan said independents can move to work on a stronger level than the traditional party-line whip system. “It’s a great opportunity to challenge the party politics that I believe have failed the country. We need to break the grip of the big parties,” said O’Donovan. However, Fianna Fáil candidate Catherine Ardagh said she was still optimistic that the party can get at least one of its two candidates into office. “We’re coming from a position of having no representative in the South West Inner-City, so it’s a start, and a lot can happen in two weeks,” said Ardagh. United Left candidate Pat Dunne was unperturbed about his group’s poor showing in the poll, indicating that there may have been some confusion among voters who believed everyone apart from the traditional parties to be “independent”. “A lot of people would see United Left candidates as independent and most voters have the mindset that everyone apart from the larger parties are independent. It’s probably the reason why they have independents as their first preference,” said Dunne. A majority of respondents (56%) expressed dissatisfaction with Dublin City Council’s performance in the last 12 months.